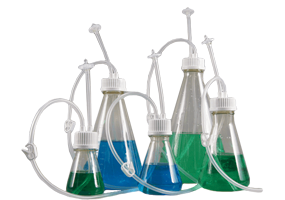 We provide a full range of process bottles and flasks for lab & biopharm applications, including Erlenmeyer Flasks, Shaker Flasks, Boston Square Bottles, Centrifuge Bottles and other Media Bottles. Alongside our extensive range of media bottles and containers, we provide single use bottle assemblies for a wide variety of applications. Each Media Bottle Assembly allows for aseptic transfer, storage and sampling through a closed aseptic molded tube and cap system. We work together with you to find the perfect solution to fit your individual requirements. From centrifuge tubes to carboys, our market-leading portfolio allows us to configure the design that matches your bottle, tubing and connector selection. 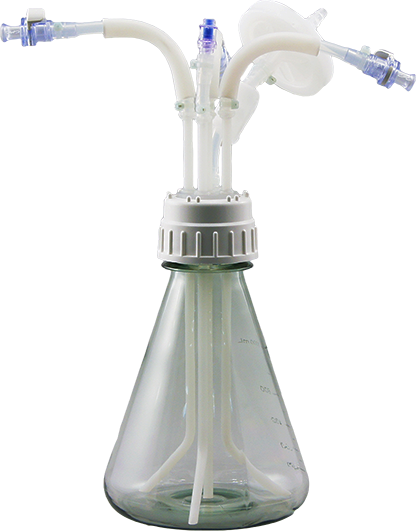 The bottle assemblies come sterile, include a tube clamp, end plug and vent filter - ready to open and use. To further discuss the options available for manifold assemblies on your media bottles, and how we can help you. Please contact us, or request a callback at a convenient time to suit you.